The minister will then finish with the well worn coup de grâce. “Well”, he or she will announce with feigned gravitas, “it’s all very well to criticise, but I don’t hear you proposing an alternative plan”. 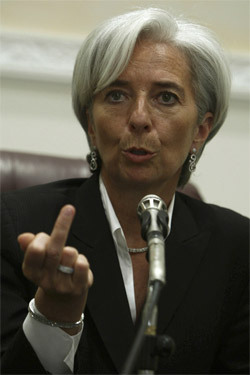 “Spain is not Greece” – Elena Salgado, Spanish Finance minister, February 2010. “Portugal is not Greece” – The Economist, April 2010. 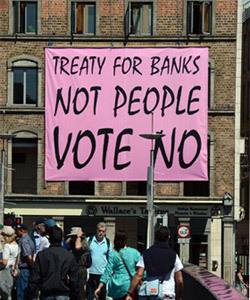 “Greece is not Ireland” – George Papaconstantinou, Greek Finance minister, November 2010. 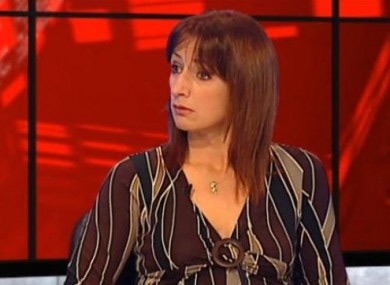 “Spain is neither Ireland nor Portugal” – Elena Salgado, Spanish Finance minister, November 2010. 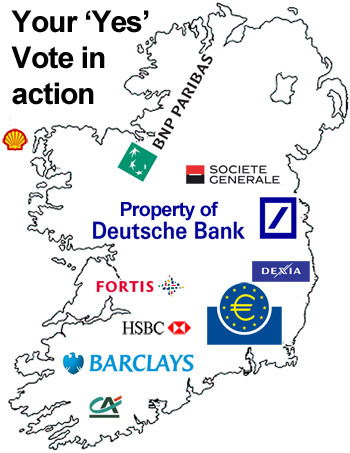 “Ireland is not in ‘Greek Territory'” – Irish Finance Minister Brian Lenihan. November 2010. 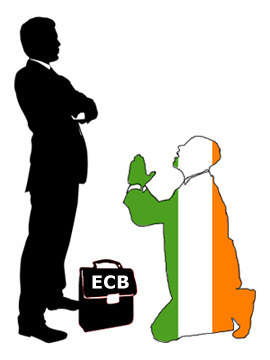 “Neither Spain nor Portugal is Ireland” – Angel Gurria, Secretary-general OECD, November 2010. “Italy is not Spain” – Ed Parker, Fitch MD, June 12, 2012. “Spain is not Uganda” – Spanish PM Mariano Rajoy, June 2012. “Uganda does not want to be Spain” – Ugandan foreign minister, June 13, 2012. 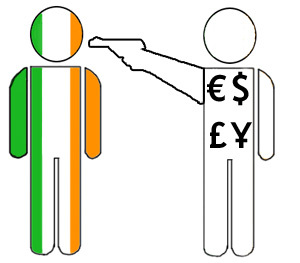 The Irish economy is in free-fall. Recent figures suggest we have a 26:1 ratio of jobless people to available jobs (yet the government is planning to penalise the long-term unemployed if they don’t find a job quickly enough). To put that number into perspective, in the UK the average ratio is around 7:1 and they think they have problems. The banks are straining under the weight of their loan books. House prices have fallen steadily for 22 consecutive quarters (yes, property was absurdly overvalued during the Celtic Tiger, but the rapid devaluation has dumped a large proportion of the population into negative equity which creates a slew of problems of its own). Emigration driven by desperation is increasing. Public services are being gutted. Regressive taxation is being increased in a vain attempt to paper over some of the cracks, while the wealth that has accumulated at the top remains untouched. What few public assets remain are being sold off at knock-down prices by a government ideologically hell-bent on a policy of privatisation, despite it clearly playing into the hands of the very people who drove Ireland into the abyss. The meagre wealth generated by our stricken nation is being funnelled rapidly into the coffers of international financial institutions. And all the while we are being led by a sorry bunch of gombeens who either don’t have the intellectual capacity to grasp what’s happening to Ireland, or don’t have the competence to do anything about it (I suspect it’s both). Let’s be clear about something; the global financial crisis was an inevitable result of politicians across the world placing the demands of unregulated capitalism before the needs of their citizenry. It was idiotic and it was greedy but it was also a huge error of judgement. Essentially… they screwed up. 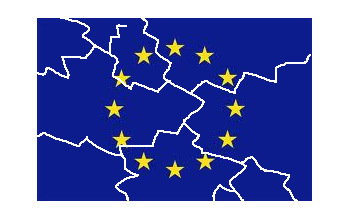 In contrast, the crisis currently engulfing Ireland is being deliberately engineered by those same politicians as part of an attempt to safeguard the capitalist system they represent. Mass Irish unemployment, emigration and the destruction of our public services are not the result of anyone screwing up. They are the result of a calculated decision to make Irish citizens suffer in order to protect the very people responsible for that original error of judgement. The Greeks and the Portuguese too of course; but as I live in Ireland that’s the perspective I’m writing from. Now, because the collapse is occurring at such a pace, there are stories worthy of note in the paper literally every day. Thankfully I’m actually quite busy at the moment, so I don’t have time just now to comment on every single one. However, I stumbled upon a story linked from Dr. Constantin Gurdgiev’s blog* (True Economics) that I felt worthy of a few moments of public reflection. The story appears on the U.S. financial website, Bloomberg, and is headlined: Ireland Told by EU It May Need More Budget Cuts to Meet Targets. In a few short paragraphs it perfectly summarises the plight of this country. It seems that – for the second time in four months – the German Parliament is deciding Irish budgetary policy. I know, of course, that’s not what’s officially going on, but only the terminally naive and/or members of the Irish government believe otherwise. Around the time of our last budget it was revealed that documents from the Irish Department of Finance outlining the budget proposals were being discussed in the Bundestag prior to being presented to the Dáil. There was – quite rightly – a degree of outrage here in Ireland. It is perfectly acceptable for EU member states to discuss the budgetary policies of other member states. However, I don’t think it’s at all acceptable for it to be happening before those policies are announced to the Irish parliament. The correct order should be: Dublin, Strasbourg, Berlin/Paris/Rome/etc. Not Berlin, Strasbourg/Paris/etc. and then Dublin. That essentially makes a mockery of Irish democracy and it’s a mistake that should never have happened. 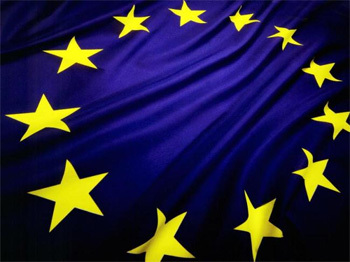 Once it became clear that the financial sector had run up unsustainable debts all across Europe, the European Central Bank told the Irish government in no uncertain terms that they must nationalise that debt rather than allow the private institutions that had generated it to suffer the consequences of their recklessness. It was the Irish people, came the order, who must bear the burden. I’m constantly hearing free-market economists insist that they oppose this policy because that’s not how the free market should work. Truth is, they are deluded. They are yet again failing to distinguish the map from the territory. Here in the real world, the free market and the capitalist system have always worked, where possible, to externalise any and all costs. That’s what they do. When provided with an opportunity to offload debt, this oh-so-wonderful free market will do just that, and social justice be damned. These economists who insist that what’s going on in Europe “isn’t what the free market is all about” need to sober up and stop trying to live their lives in a bloody economics text book. But there is one final obstacle between the institutions of international capitalism and their complete ownership of Ireland and her people. And that’s the referendum on the European Fiscal Compact that will be held here in the near future. I will inevitably be writing quite a bit about it over the coming months. Already though, the ‘Yes’ camp have begun their campaign of shameless scaremongering. We’ve had a government minister suggesting that if Ireland fails to sign up for this treaty it will “be like a bomb going off in Dublin”. Seriously. I mean, isn’t that almost the very definition of scaremongering? A ‘No’ vote will be akin to an act of terrorism! Both government parties as well as the main opposition party are campaigning for a ‘Yes’. It’s up to Sinn Féin and the leftists to argue the case against. And jaw-droppingly, the first opinion polls on the issue appear to suggest a comfortable, if not massive, majority for a ‘Yes’ vote. I must admit to being slightly disbelieving of those polls – they just don’t chime with my own sense of what Ireland is feeling right now. If true though, if the Irish are really willing to endorse the policies of the people who are actively engineering the destruction of the social fabric of this nation, to voluntarily relinquish the last shreds of their sovereignty and collaborate in the asset-stripping of their own home… if we Irish are truly that spineless, then perhaps we deserve all the debt that’s being immorally piled upon the shoulders of our children and grandchildren by financiers giggling at our complicity. A ‘No’ vote will doubtlessly have some negative consequences. But right now this small nation is being run into the ground so that international banks can continue to avoid the consequences of their own insane greed. A ‘Yes’ vote is no more and no less than an endorsement of that state of affairs. And no matter how much our bought-and-paid-for politicians try to use fear to motivate us into bowing to our new free-market masters, we must use this one last opportunity to stand up and shout “No!” We’ve had enough of paying for the mistakes of others. We will not accept punishment in their stead. We will assert our right to bear our own debt and no more. And we will say ‘No’ to those who would try to scare us into doing otherwise. * Incidentally, while I disagree with much – if not most – of what Dr. Gurdgiev has to say, he is one of the economic commentators I always take note of. He is, at least, a clever man with genuine insight… even if he is too wedded to the ideals of the free market to ever be on the same side of the fence as me. We share a common disdain for the ineffective policies being adopted to deal with the current crisis and thus we are united in our criticism, if nothing else. Hey folks, I’ve got a new piece over at On This Deity. As the year wears on, we arrive at another anniversary. This time last year I published a piece over at On This Deity celebrating the life and remembering the death of William Butler Yeats, truly one of Ireland’s most cherished sons. Yeats was first and foremost a poet of genuine greatness. Possibly the finest ever to hail from these shores. Though he has plenty of competition… and in the final analysis, claiming one poet is better than another is always a dubious activity. Let’s just say that there are few poets – from anywhere – whose work affects me so deeply. Yeats, of course, was not only a wonderful poet. He was also a dedicated archivist who – along with Lady Gregory – compiled the collection of ancient tales and sagas that we now know as Irish Mythology. In so doing, he is as responsible for the form and shape of traditional Gaelic culture as any individual. And tradition was something he felt very strongly about. A friend and fellow-traveller of many of the leading lights of the modernist movement, WB Yeats strode an uneasy line between past and future. He wanted to embrace the modern world, yet despised it for its tendency to tread heavily on the best parts of the past. He saw the creative potential of industry, but despaired at the lack of wisdom guiding it. Why did we not have the discernment to welcome the advantages of the new while preserving the advantages of the old? Progress was inevitable, he understood that, but did it have to be at any cost? And Yeats was also a political man. He spent a decade in the newly independent Irish government as a senator. One of the leading intellectuals of those early, heady days he was at the forefront of the movement to resist the influence of the catholic church on Irish politics. It was, lamentably, a battle he was to lose. How different would Ireland have been if those early progressive liberals had overcome the social conservatives! Unlike in much of Europe, the Irish revolutionary socialist movement was tightly bound to the church. There are very understandable reasons why this was the case, and in truth it’s hard to see how it could have been otherwise given the unique situation in Ireland at the time. All the same, it’s difficult to avoid a certain wistfulness when imagining an alternative history where Yeats was on the winning side of that early social struggle. Of course, one thing the progressives, the catholics, the traditionalists, the modernists and the revolutionary socialists of early 20th century Ireland would all have agreed on would be that the present predicament in which we find ourselves is intolerable. Éamon de Valera, Michael Collins, William Cosgrave and WB Yeats would have been united in their condemnation of the present government and the capitalist attacks on the people of Ireland they facilitate. On that at least, they would have voted together, and fought side by side. The selling of our sovereignty in return for tax-breaks for the wealthy would be anathema to the men who struggled so long and sacrificed so much to win that sovereignty in the first place. But I guess we couldn’t have the greatness of those heroes past without also taking on their flaws. And they had many. So it behoves us to reach for a brighter future rather than wallow in nostalgia for a rose-tinted past. 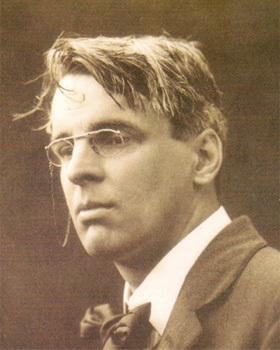 All the same, we can – as Yeats himself always stressed – avail ourselves of the distilled wisdom of days gone by. We may not always have the strength to choose which parts of our history we are influenced by, but we are obliged to at least try to give voice to our better angels and to silence the demons. And so, with that in mind, I shall finish this piece as I finished the piece over at On This Deity a year ago today, with the words of Yeats in the poem that – above all others – lives within my heart and mind.